These disposable seat pads offer protection for furniture and keep the user comfortable. 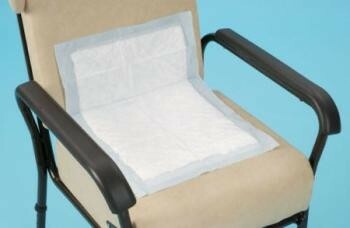 Disposable Seat Pads...These disposable seat pads offer protection for furniture and keep the user comfortable. Liquid is quickly diffused throughout the pad, ensuring the user stays dry. A waterproof backing prevents any leaks onto the furniture. Supplied in a pack of 35. Absorbency 700ml. Size 600 x 400mm (24 x 18").